Today, Tuesday 21st March, the staff and children of Dunoon Primary School have come to school wearing odd socks. Why? To take part in World Down’s Syndrome. 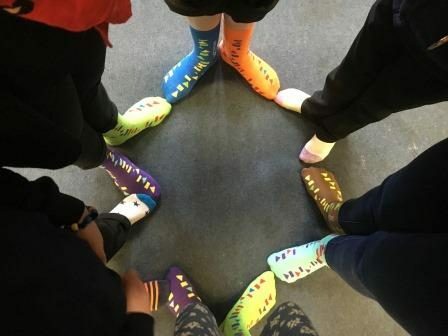 Staff and children in the Learning Centre donated to World Down Syndrome Day and bought official “lots of socks” socks while other children choose to wear their brightest and most colourful socks. 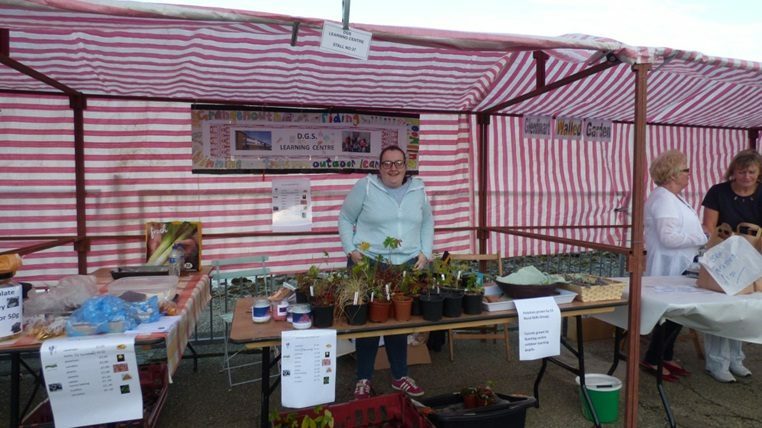 On Wednesday 24th August Dunoon Grammar School’s learning centre had a stall at Kirn Gala. We would like to say a big thank you to everyone who helped us. 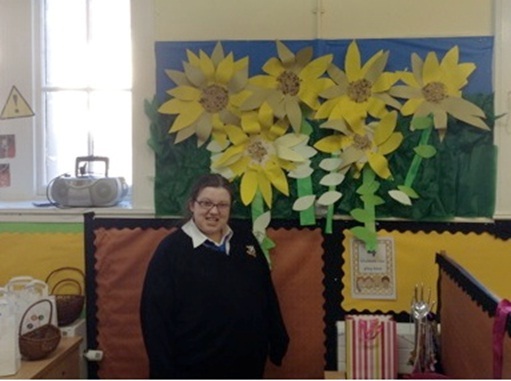 April 1st 2016 was Autism Awareness Day in Dunoon Grammar School. 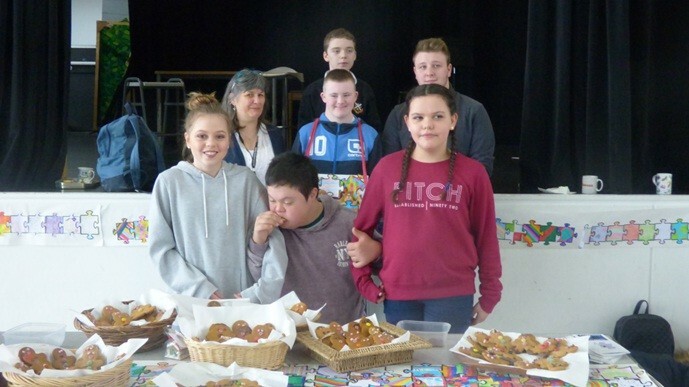 The Learning Centre pupils prepared a Power Point presentation to show at house time and made a whole army of gingerbread cookies to sell on the day. The whole school was invited to design jigsaw pieces which were joined together for display in the Forum, showing that DGS supports Autism awareness. The event was a great success so well done to everyone involved. 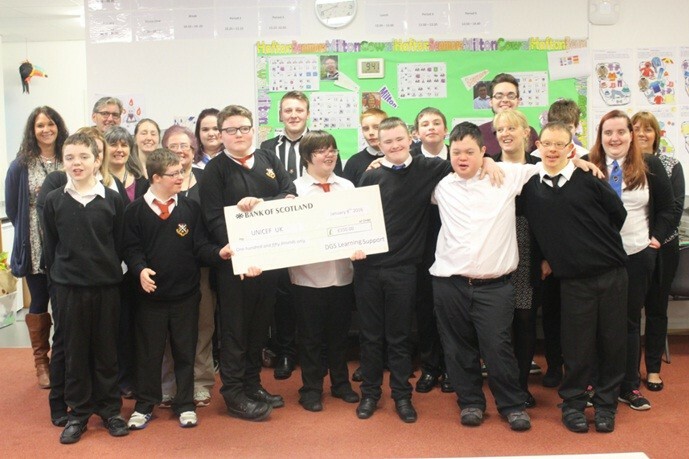 A total of £120 was raised for our local autism support organisation: Autism Argyll. 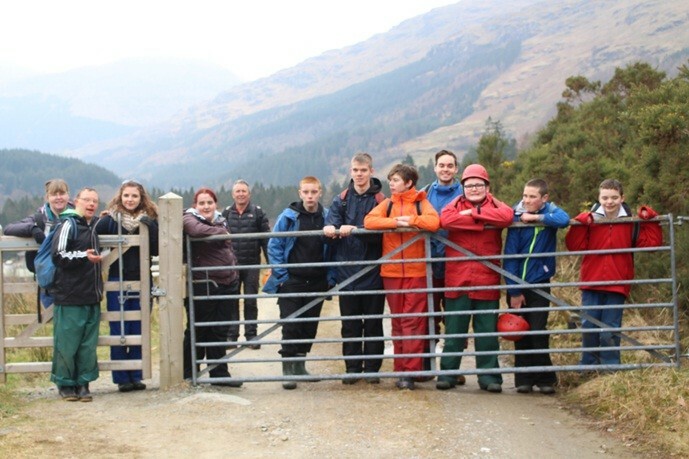 Dunoon Grammar School learning centre pupils have returned from a big adventure at Ardroy Outdoor Centre on the shore of Loch Goil. 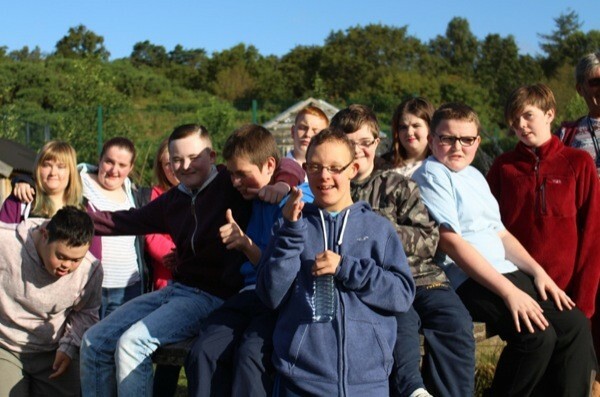 This three day residential formed part of their John Muir Silver Award and involved learning centre pupils exploring hillsides, beaches and taking to the water in canoes. They built dens, made fire and some even made a mud slide down the hill! 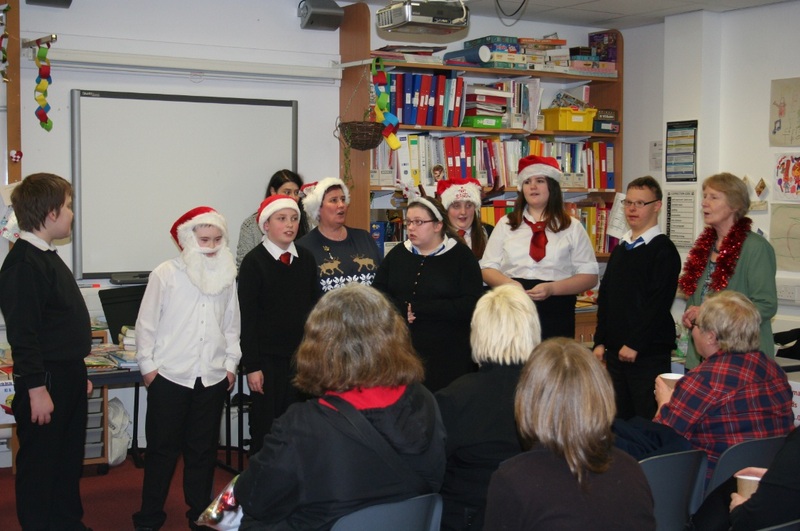 On the 16th of December 2015 Dunoon Grammar school Learning support department held its annual Christmas fayre. At the fayre there were lots of different stalls such as tombola, raffle, baking, homemade decoration, wood crafts and Guess the weight of the Christmas cake. For the first time ever there was a Santa’s Grotto and Kirn Primary Nursery children enjoyed meeting Santa and getting a small present. 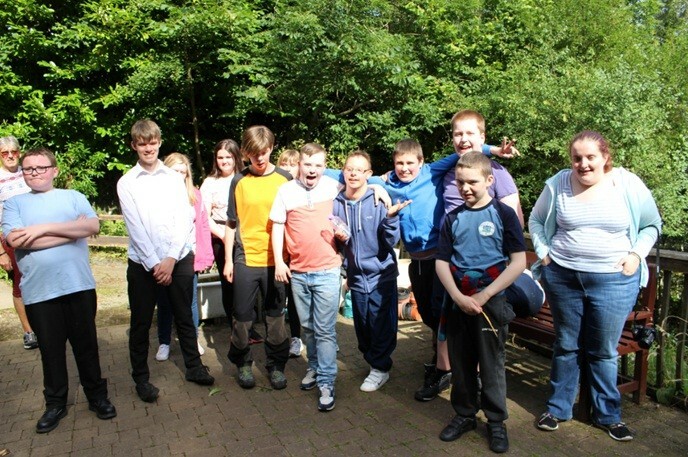 On Thursday 3rd of September all the learning centre pupils from Dunoon Grammar went on a sponsored walk. Pupils and staff set of from School down Kirn Brae, along the front all the way to Bullwood Nature Trail, near Innellan. Some senior pupils supported the younger pupils, keeping them safe and happy as part of their youth Achievement Award. Dunoon Grammar School Learning centre pupils have been nominated and shortlisted for an AB Award 2015. The AB Awards celebrate youth achievement in Argyll and Bute and are awarded by members of Argyll and Bute Youth Forum and Argyll and Bute Council’s Youth Services. Learning centre pupils have been nominated because of their contribution to the environment, both within school and within the local community. A delegation of pupils and staff will go to Oban on September 24th to join in the celebrations with all the other young people who have been nominated and shortlisted as well. 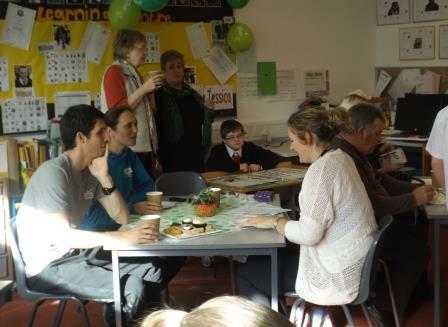 DGS Staff and invited visitors enjoyed a fantastic coffee morning organised by pupils from the school’s learning centre on Thursday, 2 October – all in aid of Macmillan Cancer Support. 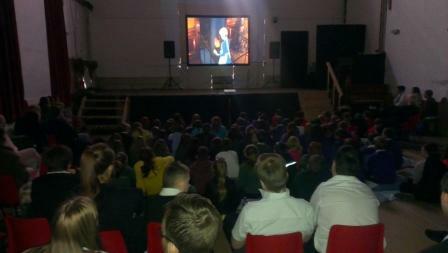 As part of this year’s Dunoon Film Festival, S3 pupils from DGS organised a special screening of the Japanese cult classic animation ‘Howl’s Moving Castle’ for local primary school pupils and DGS Learning Centre students. 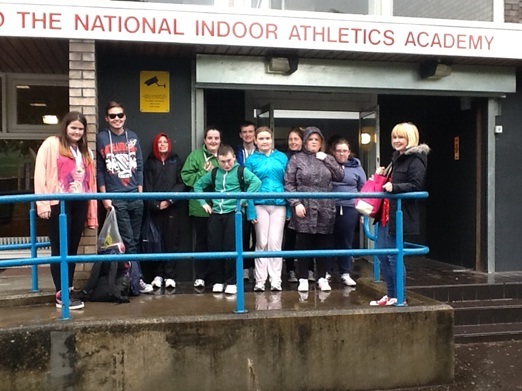 On the 4th of June some of the learning centre pupils of Dunoon Grammar school went to Scottish Disability Sports Athletics event at Grangemouth. We won 4 medals, 3 bronze medals and 1 gold medal. After a long day running we were all really sleepy, some of us had a sleep on the bus! We met lots of other kids from different schools in Scotland. 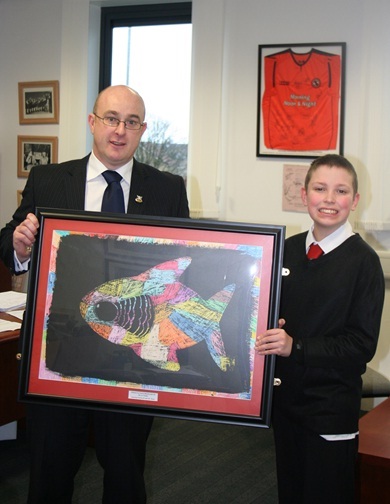 Corrie MacDonald, S2 pupil at Dunoon Grammar School proudly presents Head Teacher Mr. Mitchell with a piece of original artwork to hang outside his office. Corrie finds some aspects of the curriculum very challenging and does a lot of his learning in the learning centre. But, amongst other things, Corrie has a real talent for art. 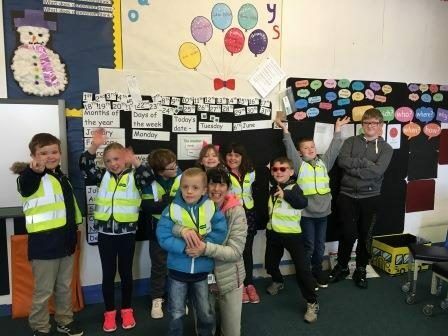 One of the four focuses (or capacities) of The Curriculum for Excellence is to encourage pupils to become effective contributors to their communities. What better way to do this than to volunteer some time to help out at a local nursery school. This is what Shannon Lyon, S5 pupil at Dunoon Grammar School and full time pupil in the learning centre, has been doing since August 2013. Whilst Mr. Mitchell continues to settle in well as new head teacher at Dunoon Grammar School, he felt that his office was still feeling a little bit bare. 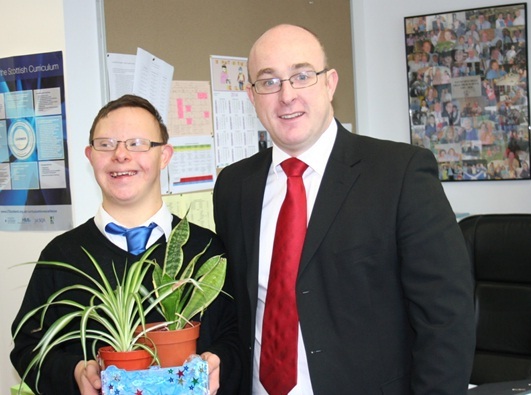 He approached pupils in the learning centre to see if they could help by providing a few plants. Outdoor learning is a big part of the learning centre curriculum and the pupils rose to the challenge straight away. Pupils painted and decorated containers so that the plants would look attractive in Mr. Mitchell’s office. Five pupils from Dunoon Grammar’s learning centre designed an eye-catching range of Christmas cards as part of their contribution to the Learning Support Department’s annual Christmas Fayre. The designs were so colourful and original that learning centre teacher Liz Miller approached local printer, E&R Inglis, to see if they would print the cards to give them the professional finish they deserved. Every year in Dunoon Grammar School, The Learning Support Department hosts a Christmas Fayre to raise money for their chosen charity, ‘World Vision.’ ‘World Vision’ is a charity that helps children and their community to achieve success in far less privileged parts of the world than ours. This year’s event was similar to previous years but unlike previous years, when teachers have organised everything, this year S6 pupil Rebecca Westwood played the coordinating role. 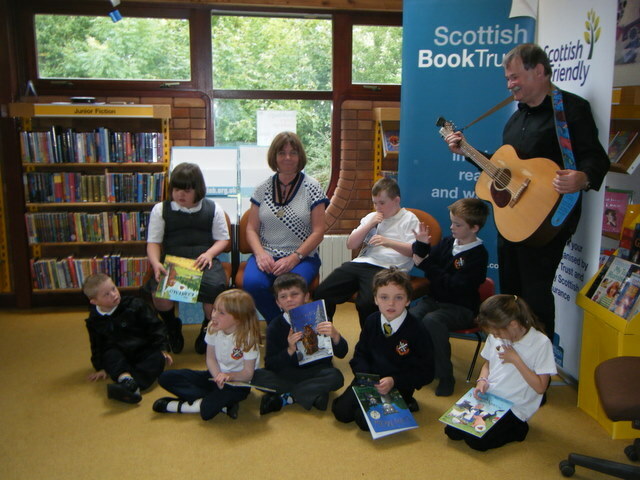 On Monday 17th September the Learning Centre children went to Dunoon Library to meet Julia & Malcolm Donaldson. Mrs MacDonald put the children forward for this event as they had been so interested in Julia’s books and were delighted to be invited to take part alongside children from other local primaries. The children of DP Learning Centre performed the Gruffalo’s child for the Donaldson’s and in turn they performed Room on the Broom for them. Lucky James Ballantyne was picked to be the bird in Julia & Malcolm’s performance. What a superb day out, the children loved every minute!